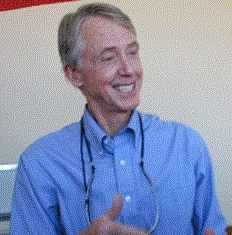 Dr. Burns is a graduate of the University of Minnesota School of Dentistry. He is truly a dedicated dentist and has a passion to maximize the dental health of his patients. He continues to educate himself on the latest techniques and procedures so that he can make them available to his patients. As part of a small medical team, Dr. Burns brought his services to Vietnam to treat residents of several small villages and a number of orphanages throughout the country. He spends his free time with his family: hiking, snowboarding and biking.